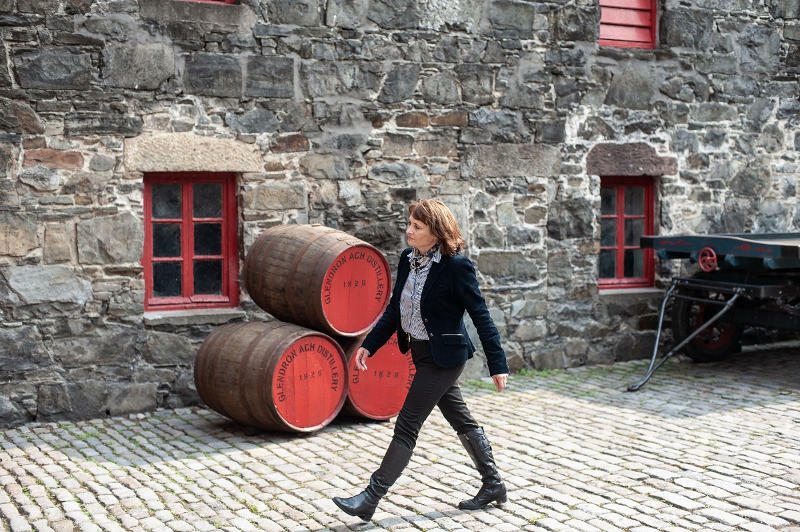 The master blender for Glendronach shares about her journey in whisky, and the re-launch of the much-lauded Glendronach Revival 15 Years Old. While female master blenders in the world of whisky are a rare breed (something that’s slowly changing), it might be even harder to find a master blender that has moved between multiple brands. Yet, Rachel Barrie ticks both boxes. 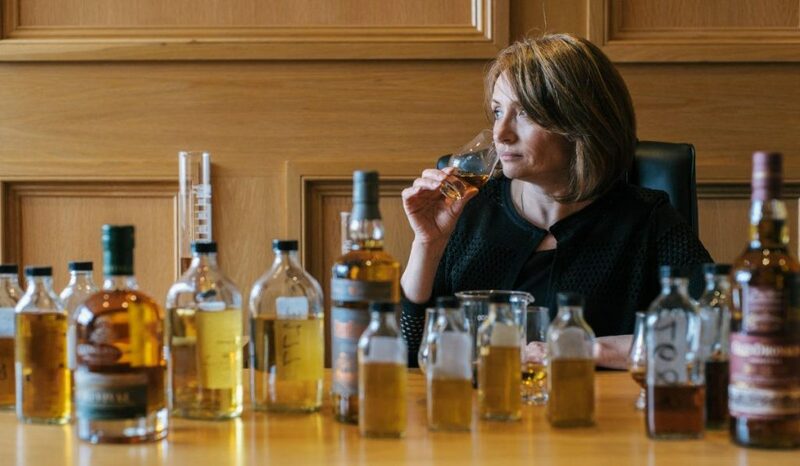 The 48-year-old Scotswoman has been a master blender for 15 years now, for a total of 27 years in the industry, and has been through the blending rooms of distilleries like Auchentoshan and Bowmore; and now works for the Brown Forman group, where she creates whiskies for BenRiach, Glenglassaugh and GlenDronach. In her decades in the business, she’s tasted well over 100, 000 casks, and shows no signs of slowing down, having re-launched the cult favourite, the Glendronach Revival 15 Years Old. You’ve mentioned that your whiskies for Glendronach were more old-school — very rich and oily — why do you think there was a shift towards lighter styles? Glendronach is still made in the same time-honoured way, using the same cast iron mash tun, wooden wash-backs and saxophone-shaped stills. The process is slower than many modern distilleries, taking twice as long to mash using the traditional rake and plough method. The spirit matures in the original style of early 19th century Spanish oak sherry casks over a long maturation, creating a rich, elegant and robust character. Lighter styles grew in the 1990s and 2000s as new consumers moved from blend into malt. Now, many consumers are looking to progress to richer malts, with a shift towards more character and flavour. You’ve moved between a few companies as a master blender, which is quite rare — does this give you extra insight, or new perspectives when you’re working on a whisky? I’ve been very fortunate to learn lots from every distillery I’ve worked with, developing an understanding of change over the years and the influences and causes, whether different wood policies, ingredients or in the process of whisky-making. The diversity of style and individuality of character of each distillery has enriched my understanding and appreciation. I learn something new every day! The bramble somehow comes through in the Glendronach — do you think in another distillery, surrounded by another plant, the whisky would taste of that plant? It is virtually impossible to quantify exactly how much the local flora influences character. However, it is remarkable how much bramble fruit character appears in Glendronach, from the spirit straight off the still to the maturing whisky. I find it equally remarkable how other distilleries, such as Benriach in Speyside with the character of orchard fruit and sweet barley, and Glenglassaugh in Sandend Bay on the Coast, with its salted sweetness, develop such a distinctive identity, so reflective of the landscape. Microflora definitely has a part to play. How much of what you do is science, and how much of it is art? The art is the imagination and expression the science is the idea. Whisky-making is a combination of ideas and thoughts, character and understanding, the integration of artistic imagination and expression, and hard facts/science. I don’t think how much is one or the other can be quantified. It just is. Every step of the way, it is dependent on thoughts, ideas and information from a variety of sources, with a vision not only of what whisky is, but can be. The Glendronach 15 was discontinued for a while because of the limited supply — what did it take to bring it back? 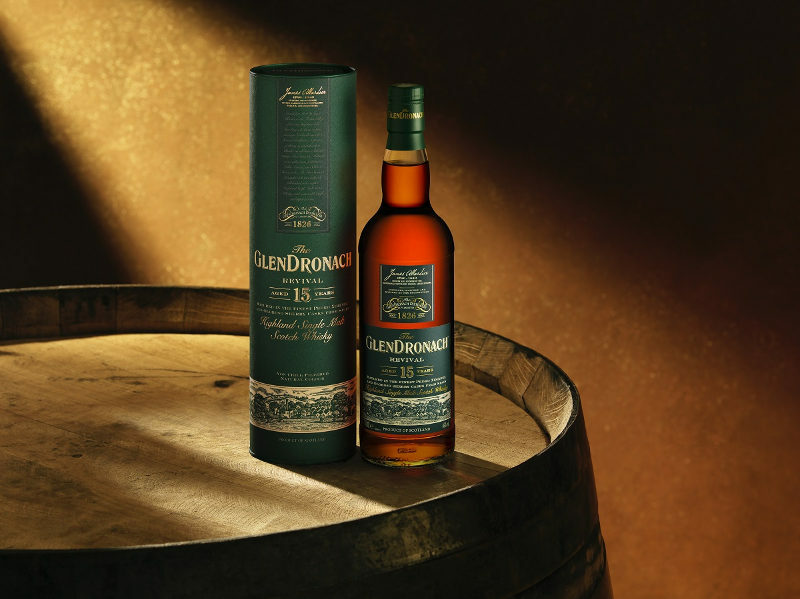 Creating Glendronach 15 years old required detailed analysis of the stock profile – spirit quality, flavour profile, individual cask colours, different cask types, sizes and volumes. Cask selection is based on achieving a taste profile, and everything makes a difference. The aim is to develop and sustainably deliver a taste profile and character time and time again, with layers of complexity and flavour balance. The only way to achieve this is to understand almost every cask in the maturing inventory, and how it will behave when combined with others. It’s hard to pick favourites — but is there an expression that you’ve worked on that you are particularly proud of? I spend most time working on Glendronach Original 12 years old, ensuring perfect balance and consistency in our flagship single malt. In 2018, Glendronach 12 won ‘Gold’ and ‘Top distillery malt’ in Scotland, and was voted the best Sherry cask matured malt in Sweden, home to the largest whisky competition. Of the new Glendronach expressions for 2018, I’m most proud of the re-released Glendronach Revival 15 Years Old, as to me it expresses the perfect balance of richness, elegance and complexity. The pressure was certainly on to get this right — we’re proud to have won Double Gold at the San Francisco World Spirits Competition and voted one of the Top Ten new whiskies for 2018 by Whiskey Advocate.